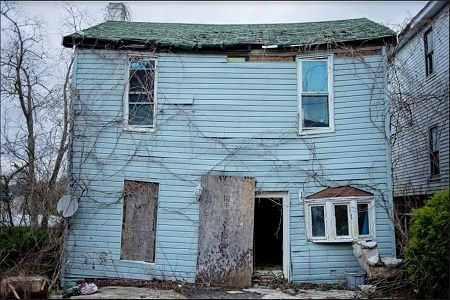 A study by an MIT economist shows that the United States of America has regressed materially to a third-world nation for most of its citizens. America divided: This concept increasingly graces political discourse in the U.S., pitting left against right, conservative thought against the liberal agenda. But for decades, [U.S.] Americans have been rearranging along another divide, one just as stark if not far more significant—a chasm once bridged by a flourishing middle class. Peter Temin, Professor Emeritus of Economics at MIT, believes the ongoing death of “middle America” has sparked the emergence of two countries within one, the hallmark of developing nations. In his view, the United States is shifting toward an economic and political makeup more similar to developing nations than the wealthy, economically stable nation it has long been. Temin applied W. Arthur Lewis’s economic model, designed to understand the workings of developing countries, to the United States in an effort to document how inequality has grown in [U.S.] America. The parallels are unsettling. As noted by the Institute for New Economic Thinking: In the Lewis model of a dual economy, much of the low-wage sector has little influence over public policy. The high-income sector will keep wages down in the other sector to provide cheap labor for its businesses. Social control is used to keep the low-wage sector from challenging the policies favored by the high-income sector. The primary goal of the richest members of the high-income sector is to lower taxes. Social and economic mobility is low. Temin describes multiple contributing factors in the nation’s arrival at this place, from exchanging the War on Poverty for the War on Drugs to money in politics and systemic racism. He outlines the ways in which racial prejudice continues to lurk below the surface, allowing politicians to appeal to the age old “desire to preserve the inferior status of Blacks,” encouraging white low-wage workers to accept their lesser place in society. “We have a structure that predetermines winners and losers. We are not getting the benefits of all the people who could contribute to the growth of the economy, to advances in medicine or science which could improve the quality of life for everyone, including some of the rich people,” he laments. The antidote, as prescribed by Temin, is likely a tough sell in today’s political climate. Expanding education, updating infrastructure, forgiving mortgage and student loan debt, and overall working to boost social mobility for all [U.S.] Americans are bound to be seen as too liberal by many policy makers. Photo: Dilapidated and abandoned house in USA. Source: The Intellectualist.